“BUT, I DON’T WANT TO GET BULKY” …..ugh. I have been toying around with content ideas for this weeks post for a few days now. My main focus this week has been on two things – my weightlifting and my food intake – for reasons I will explain in as much detail as possible for you all next week. However, my weirdish superstitious brain does not want to jinx anything, therefore I refuse to report on it preemptively. This put me in a little dilemma; almost a writers block. Then, this morning I came across an article that I have since read twice. It could not be more perfect. I actually am a little jealous that I didn’t write something this spot on and perfect. The article is written by Alli Moyer. 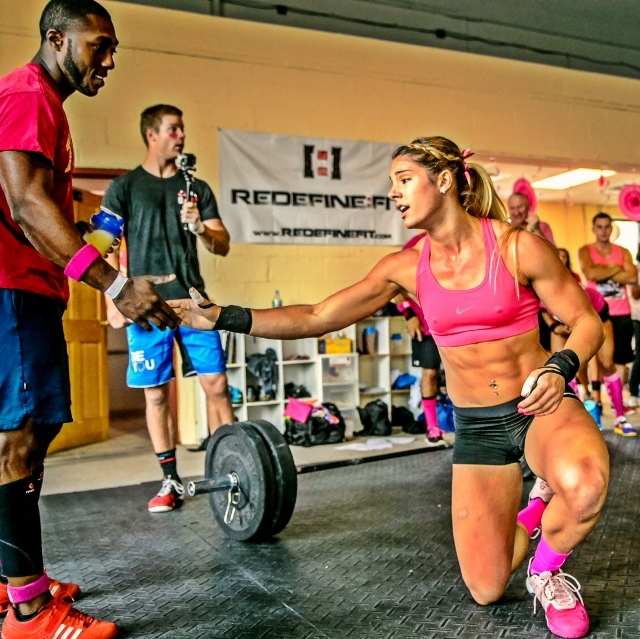 It is one of the many articles explaining “Why Women Should Lift”. I have read a countless number of these in the past year, however, this one was different to me. It caught and held my attention. I actually sat at my gyms computer for about 30 minutes trying to get the printer (which NEVER works) to work so that I could print one out and hand it to each of our female members. For one, Alli Moyer is an established figure competitor. This means her sport and my sport could not be more different. Our exercise routines to prep for competition would look like night and day when compared. We have completely different goals, our success is judged on completely different aspects of fitness. However, like I said, if you asked my opinion on the subject of women lifting weight to be more healthy (instead of being a “cardio rat”), my answer would be IDENTICAL to hers. She doesn’t approach the topic of “strong women” in a feminist, “strong is the new skinny” way that actually makes me want to puke and is pretty embarrassing in my opinion. She approaches it like the exercise professional she is. She explains, in layman’s terms, the science that all of your educated strength and conditioning coaches and exercise professionals know and are trying to relay to you. Enough of me explaining the article. I am going to let you read it yourself. READ THE ENTIRE THING. Clear your mind. Educate yourself. And trust that WE, your exercise scientists, know what we are talking about. This entry was posted on November 7, 2013 by NicoleRoggow. It was filed under Uncategorized .